A couple days ago we heard that 15,000 apps had been submitted to the BlackBerry App World in just 37 hours as developers scrambled to get apps in for BlackBerry 10. The mad dash to submit apps was because RIM had set up a couple "Port-A-Thon" events for developers making apps for BlackBerry 10, and now RIM has announced that the size of the fund has doubled to $2 million for the latest weekend. The "Port-A-Thon" fund promises that any developer who has an app approved for the BlackBerry App World will get $100. So far, we don't know how many apps have been approved from the previous "Port-A-Thons", but since the total cash allowance for each was just $1 million, no more than 10,000 apps could win. This time around there will be room for 20,000 apps to be approved, and any apps built/ported "using any one of the development languages that supports BlackBerry 10... HTML5, Native C/C++, AIR, jQuery, Marmalade, Qt, PhoneGap, Appcelerator, Sencha" or ported from Android are eligible. This latest "Port-A-Thon" will begin on January 18th at 12PM EST, and end on January 19th at 11:59PM EST, and this will be the last "Port-A-Thon" held before BlackBerry 10 is released. 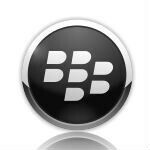 RIM plans on having at least 70,000 apps available in the BlackBerry App World when BlackBerry 10 launches. BB 10 OS > WP8. Go rim Go.In 1 year we want u to overstep WP apps & i am sure u will definitely do it.Most elegant OS ever. Both BB10 & WP8 is (or will be) a failure!!! Android ecosystem were TOO STRONG!!! Even Apple iPhone were taking a HIT!!! Hope Blackberry does well, competition can only help the market and us the consumers. I really hope competition can occur on Google Android open Platform. This BB10 + WP8 is just a distraction, and will SLOW DOWN the innovation. (REASON: because developer now have to do more TIME to support MORE platform). CLOSE CAPTION for the title: RIM ask DEVELOPER to PIRATE MORE android apk files for RIM. RIM should CHECK THE VALIDITY of the aps BEFORE ACCEPTING IT on their aps market. Android DEVELOPER really don't want to be RIPPED OF by RIM. Nice move. Now M$ will also come with a larger bounty if this gives the numbers.